Most people travel to us by train or car, but Saboia also has a bus station. You can take the bus from Saboia to Odemira at 8:30 in the morning and back from Odemira at 18:40. Only on schooldays. 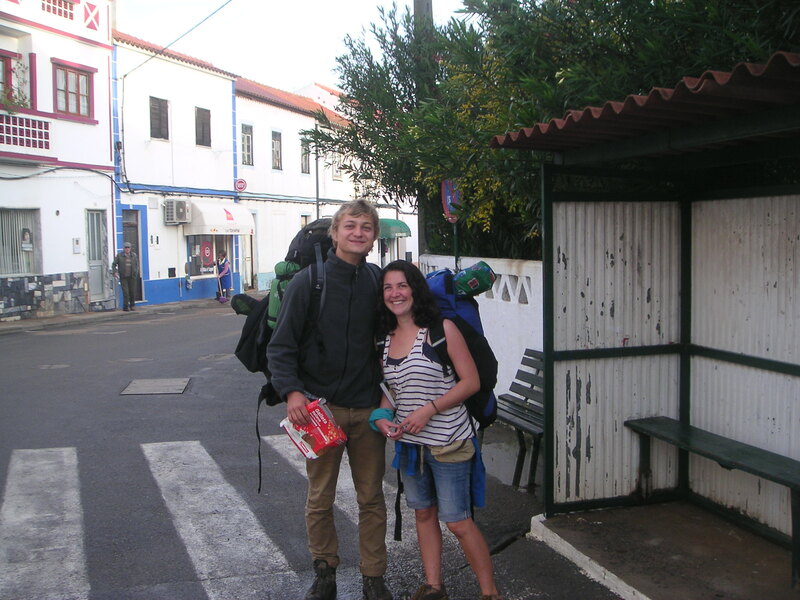 In this picture Martin and Francesca on their way to the coast for a hiking trip. They were here for almost one month, helping with many things, cleaning the fruit tree area, and great cooking too!